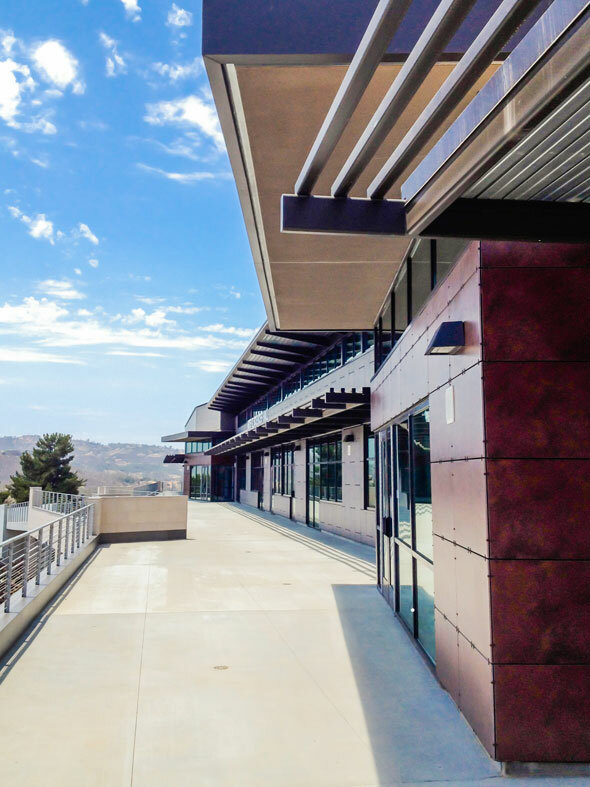 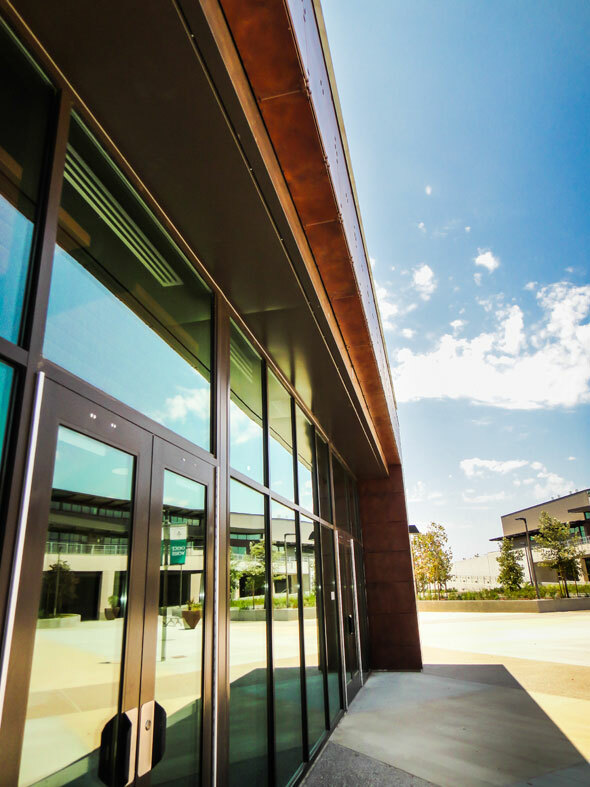 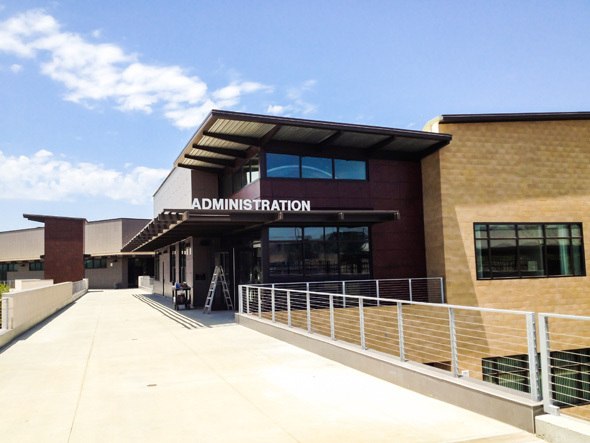 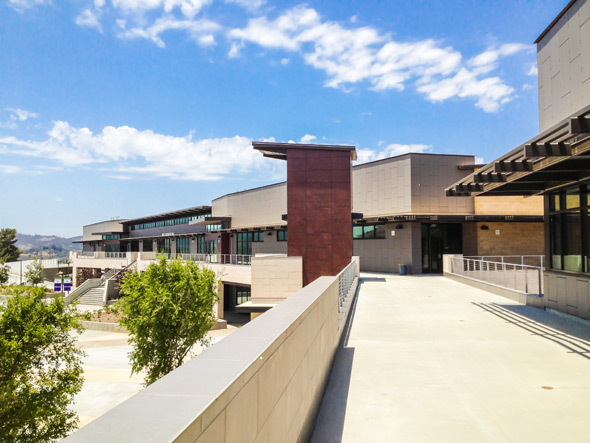 Baker Nowicki Design Studio designed the new Technology Magnet School in Escondido, CA called Del Lago Academy. 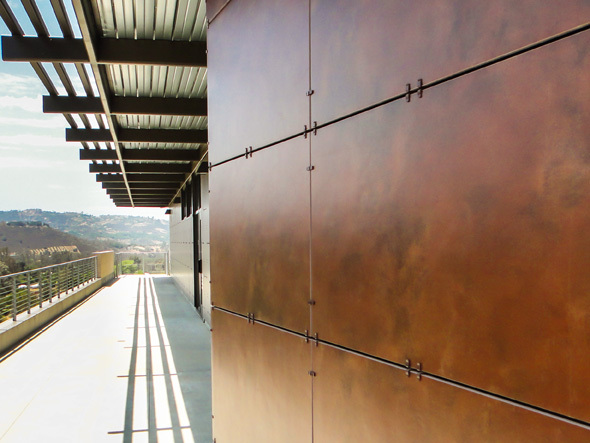 Ceramic5 in two colors were used incorporating a visible clip attachment system. 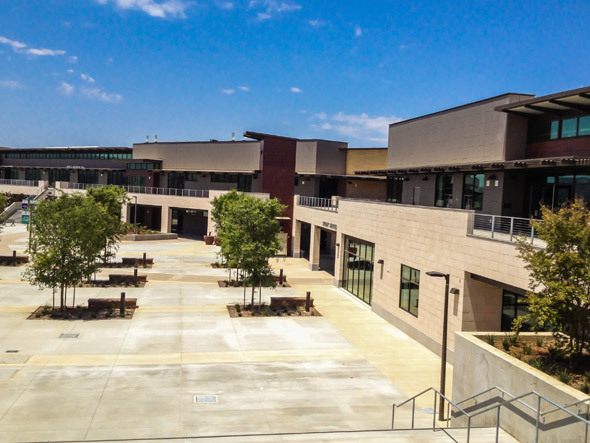 The 19,000 square feet of ceramic tiles were in 2 foot by 4 foot sizes.